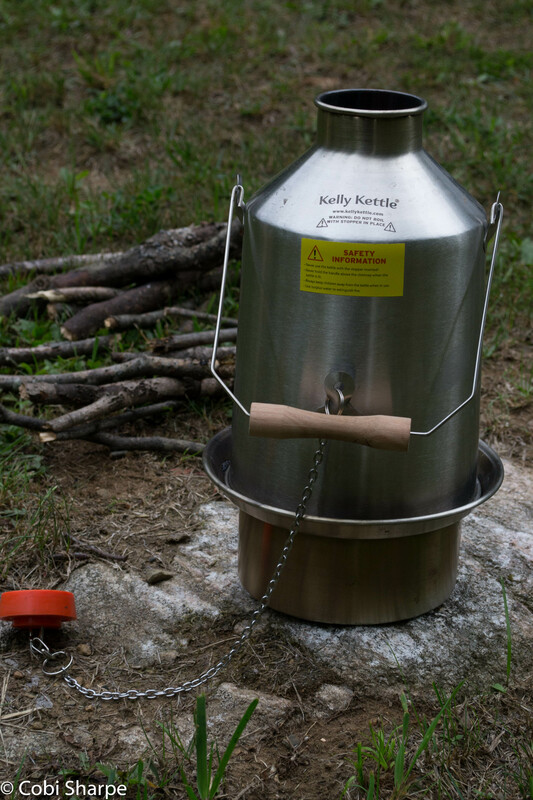 I have wanted a Kelly Kettle ever since I started watching Kevin Callan (also known as The Happy Camper) on YouTube. 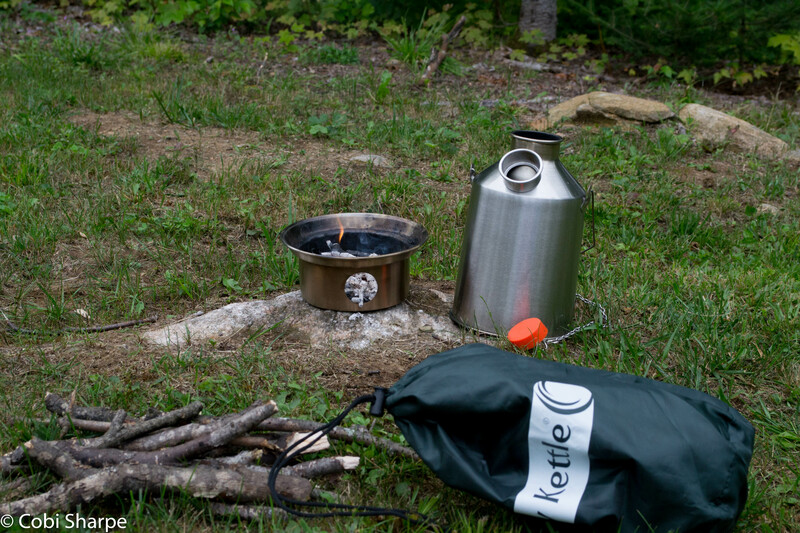 It wasn’t really the kettle that I was interested in, but the Hobo Stove attachment. I really liked the idea of a stick fire for cooking and could picture myself gathering sticks and dry wood from around the campsite. I haven’t been able wrap my head around our MSR WhisperLite Stove and the thought of spilling fuel on my hands makes me cringe. A stick stove is more my style. I finally saved enough money to purchase the Scout-sized Kelly Kettle with Hobo Stove attachment and couldn’t wait to light my first fire. 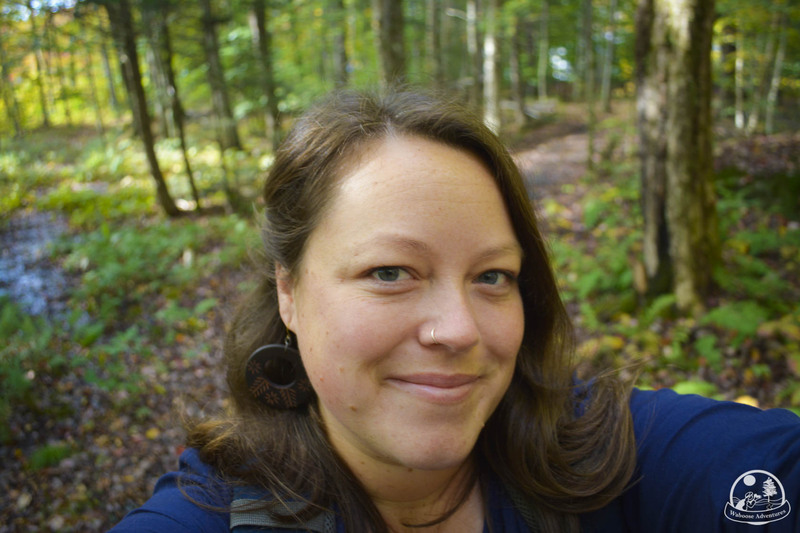 I took it camping to a private park with family and friends a few weeks ago, and told my husband that I would be making coffee in the morning. You see, I could always get out of that task by saying I didn’t know how to use the WhisperLite. First thing in the morning, I spent a few minutes gathering small sticks and dried wood from around the campsite. I filled the kettle with water and lit my first fire in the base. It started in no time, and within minutes my kettle was boiling. I was impressed, but more pleased with myself that I was able to boil water and make coffee for my husband and I! Later in the day we had a corn roast for over 15 people. We had to come up with a way to boil enough water to cook the corn because we didn’t have a big enough pot. It was suggested that we use a cooler. We shucked all the corn and placed the cobs inside. All we had to do was boil water. This was perfect! I could pull my Kelly Kettle out and make another fire in the base and play with my new piece of gear again. 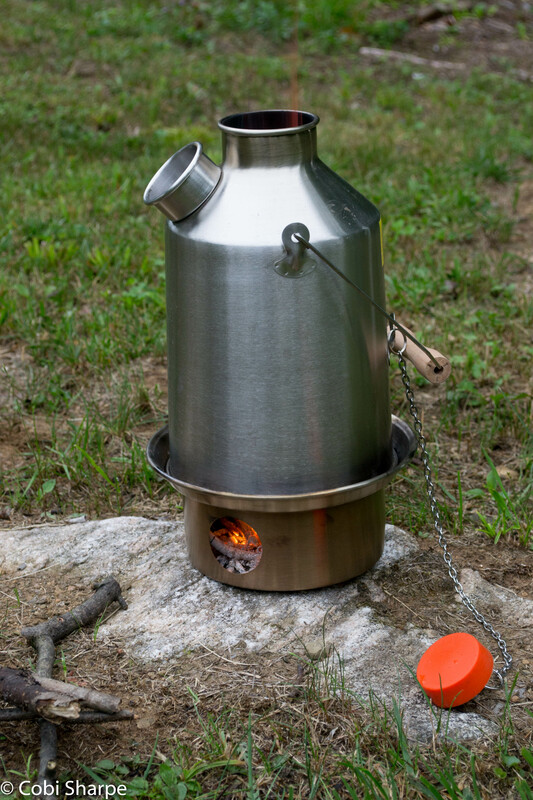 While everyone else boiled their water in trailers hooked up to electricity, I had already boiled the Kelly Kettle 3 TIMES before any of theirs was done boiling the first time. This kettle is super efficient! It’s fast to boil because you can toss sticks down through the top of the kettle where it’s hollow, fun to play with and something I can manage when it comes to helping with kitchen and cooking preparation.